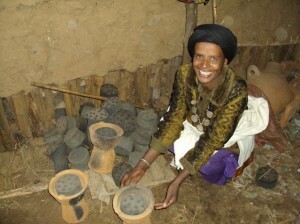 Bamboo charcoal briquettes in Ethiopia. The pitfalls of poverty often discriminate against those least equipped to handle the adversity, in many cases women. However, the benefits of bamboo are universal. On this year’s 2014 International Women’s Day, I would like to reflect on the benefits bamboo can bring for many poor women in Africa and Asia and specifically bamboo charcoal, as I am writing from Zhejiang Province, the heart of charcoal production in China. Bamboo is easily harvested and can be processed in the home, making it an attractive resource in support of livelihoods for rural women. Bamboo can provide new opportunities for income without forcing women to leave their homes and children, since they are often the main caretakers of both. 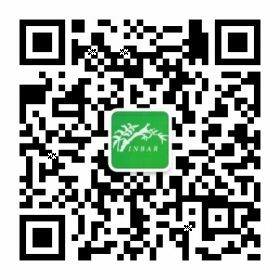 INBAR has supported activities in bamboo shoot production, bamboo charcoal production as a wood alternative, planting bamboo to improve land productivity, using locally harvested bamboo for water storage, bamboo beehives, green houses, and food/fodder storage buildings. These activities contribute not only to improved food and nutrition security for rural women – who harvest and produce more than half of all food globally – but also to their social standing and economic wellbeing. With increased income and financial security, women’s self confidence improves and their representation and participation in public forums and meetings increases. In fact, 500 million women around the world cook for their families every single day of the year, and bamboo can make this necessary part of their routine an opportunity to earn money. Using bamboo as firewood for cooking is not only cleaner, since it produces less smoke, but it also enables women to earn additional income by collecting and selling the bamboo charcoal produced from this daily activity. 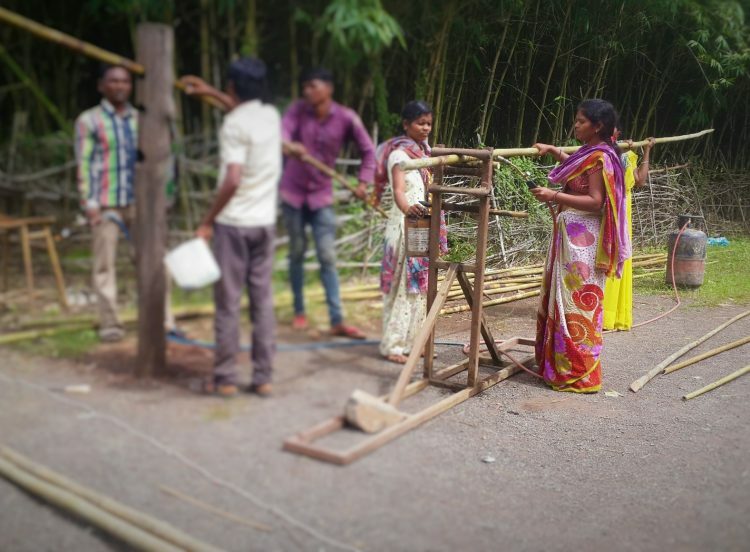 And even better, women in India have been encouraged to grow their own bamboo at home, giving them ownership of the process from start to finish. This simple endeavour is now a prime example of how empowering women helps us all. Encouraging rural women to grow and use bamboo as firewood for cooking is now helping combat deforestation, providing income to help alleviate poverty, while accomplishing necessary everyday tasks. INBAR does not focus specifically on women, but it gives me great satisfaction to know that our work with bamboo and rattan has a direct and positive impact on the lives of millions of women around the world.